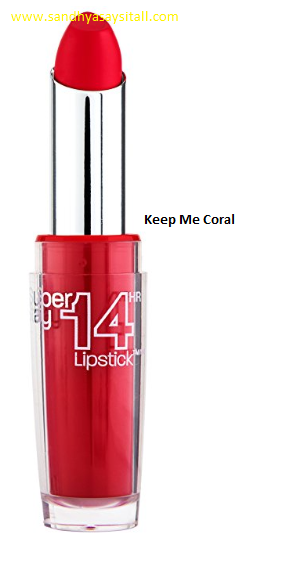 The lipstick gives a pretty shade of coral with a creamy texture. 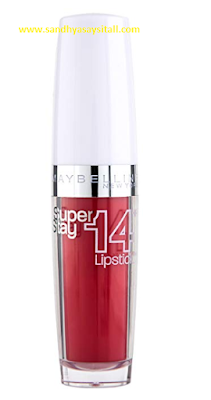 It has a tint of tiny glitter which would surely give your lips a rich look! The super-rich color with super staying power is all you need to wear to any party ladies. Staying power is about 5 hours and not 14 hours as it claims. It is not drying on lips and stays smooth for long time. It is super pigmented with a red coral color. No need of retouching again and again. Would I repurchase/recommend this product to others?